Nationwide Tank and Pipe, LLC offers a complete line of custom Fiberglass aboveground tanks for storage of all your agricultural needs. The agricultural market commonly uses fiberglass tanks to hold fertilizer, herbicides, micronutrients, and water. Nationwide Tank and Pipe has the storage tanks and accessories that you need to meet the demands of your business or your customers. Our agriculture storage tanks are built to ASTM 4009, ASTM D3299 standards using corrosion resistant resins with UV inhibitors to ensure durability. Aboveground tanks are customized to customer’s specifications and nozzle configuration. 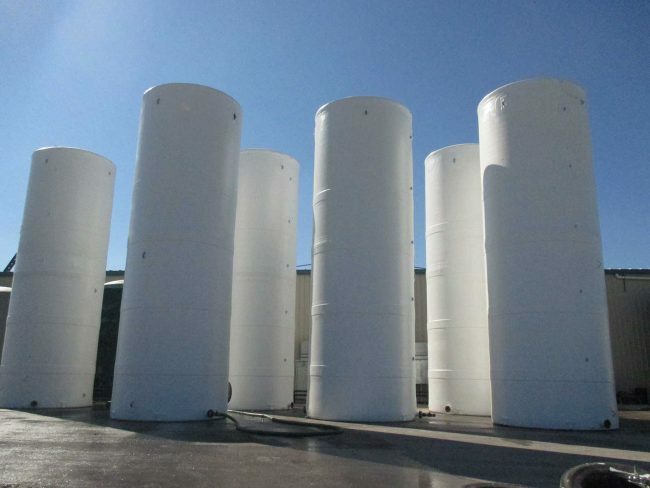 Fiberglass tanks are lightweight, therefore easily transported to the end user and designed for efficient and quick installation giving the customer a low cost, long life solution. We provide customers with superior quality and customer service.